Self-compassion is often lacking when you live with social anxiety disorder (SAD). While others may easily let mistakes that they make go, you are more likely to hold on to those memories and relive them each time you are faced with another social or performance situation. While holding on to critical thoughts about yourself might come naturally for you, there is a better way to manage your thoughts and emotions in these situations. 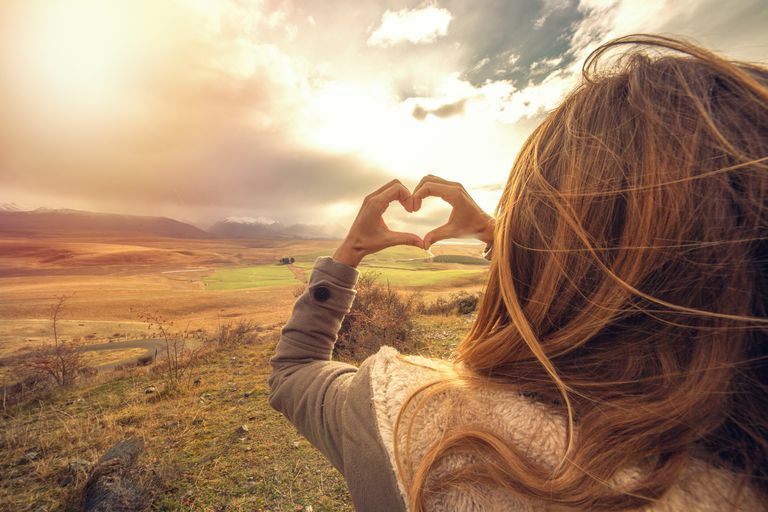 Self-compassion is linked to general satisfaction with life, social connections, and fewer problems with self-criticism, low mood, and anxiety. In this way, it is as though you extend that negative, self-critical voice in your head out to everyone around you. What you tell yourself, you also imagine others are thinking about you. From this perspective, it is easy to see why people with social anxiety tend to fear negative evaluation from others. When the voice in your head is always critical, you expect others to be critical as well. Research has indeed shown that self-compassion tends to be lower if you live with SAD, and it also tends to relate to a greater fear of being evaluated. At the same time, the level of one's social anxiety, or severity, tends not to relate to the level of self-compassion. In other words, regardless of whether you have very mild or very severe social anxiety, your level of self-compassion is likely to be the same. Interestingly, it has also been shown among those with social anxiety, that self-compassion tends to decrease with age. The opposite is true for healthy people—their self-compassion tends to increase with age. While we know there is a connection between social anxiety and low self-compassion, we don't know for sure if one causes the other, or if there is some third factor involved. What we do know is that increasing self-compassion is a good target for treatment for those with social anxiety. The benefits of being more accepting of yourself in general are easy to imagine, regardless of your level of social anxiety. As you become more accepting of yourself, your fear of being evaluated negatively is likely to decline. This is because treating yourself kindly makes you feel safe and connected instead of alone and isolated from others. Indeed, self-compassion has been shown to activate the parasympathetic nervous system and dampen the sympathetic nervous system, which is responsible for the fight-or-flight reaction that you experience when in social and performance situations. Compassion-based therapy (CFT) is used among people who live with problems related to shame and self-criticism, which includes those with social anxiety disorder. A systematic review found evidence of the effectiveness of CFT particularly among people high in self-criticism. What does compassion-based therapy look like? Often, it will be part of a larger therapy package, such as mindfulness-based stress reduction (MBSR), initially proposed by Jon Kabat-Zinn. Learning how to be mindful includes monitoring negative thoughts about yourself, which forms the basis of self-compassion. In general, any type of acceptance-based intervention is likely to involve a component that is aimed at increasing self-compassion. If you're receiving therapy for social anxiety or are planning to talk to your doctor about treatment, mention your interest in mindfulness and acceptance-based interventions such as MBSR or acceptance and commitment therapy (ACT). Indeed, one study found that a 12-week mindfulness-based intervention for social anxiety disorder that included explicit training in self-compassion improved the severity of social anxiety symptoms and enhanced self-compassion. If you're not receiving treatment or would like to improve self-compassion on your own, adopt the principles of compassion-focused therapy in your daily life. The main benefit of self-compassion is that it promotes an inter-connected self. In this way, you view your difficult moments as part of the greater human experience. Additionally, how you treat others becomes how you also treat yourself. Improving Your Physical Health. Do things to improve your physical health such as eating healthy food, resting when you are tired, and engaging in daily exercise such as going for a walk. Keeping a Journal. Use a journal to record your thoughts about your day, without blaming yourself for mistakes that happened. Use the journal to be mindful of your thoughts and reactions and to keep distance from your anxiety so that you are able to view it objectively. Positive Self-Talk. Be encouraging toward yourself with the things that you say inside your head. For example, before a speech or presentation, use a gesture such as a hand on your heart to indicate that you are showing compassion for yourself, or say something to yourself such as "May I do well." Engaging in Mindfulness. Practice mindfulness meditation exercises such as the loving kindness meditation. Learn to become aware in the moment so that you can monitor your own level of self-compassion as you go about your day. Common Humanity. The overall aim of self-compassion therapy is to accept that your experience is universal and not something to feel shame about. Being kind to yourself will allow you to see the bigger picture—that your mistakes are not as bad as you think and that others are not judging you as much as you believe. While self-compassion seems to come naturally for some people, if you live with social anxiety disorder your tendency to treat yourself kindly may be lowered. If you've not yet sought help in the form of diagnosis or treatment for severe social anxiety, that may be the first step toward seeing improvement. While it's true that everyone with social anxiety experiences a lack of self-compassion, severe symptoms may make it nearly impossible for you to keep on top of your physical health, record daily thoughts in a journal, talk to yourself in a positive way, be mindful, or see yourself as making the same mistakes that other people make. Once the severity of your anxiety is reduced, you will be better able to work on developing self-compassion and a more positive outlook of yourself. Greater Good Science Center at UC Berkeley. Can self-compassion make you better at public speaking? Hjeltnes A, Molde H, Schanche E, et al. An open trial of mindfulness-based stress reduction for young adults with social anxiety disorder. Scand J Psychol. 2017;58(1):80-90. doi:10.1111/sjop.12342. Koszycki D, Thake J, Mavounza C, Daoust J-P, Taljaard M, Bradwejn J. Preliminary Investigation of a Mindfulness-Based Intervention for Social Anxiety Disorder That Integrates Compassion Meditation and Mindful Exposure. J Altern Complement Med. 2016;22(5):363-374. doi:10.1089/acm.2015.0108. Leaviss J, Uttley L. Psychotherapeutic benefits of compassion-focused therapy: an early systematic review. Psychol Med. 2015;45(5):927-945. doi:10.1017/S0033291714002141. Werner KH, Jazaieri H, Goldin PR, Ziv M, Heimberg RG, Gross JJ. Self-compassion and social anxiety disorder. Anxiety Stress Coping. 2012;25(5):543-558. doi:10.1080/10615806.2011.608842.